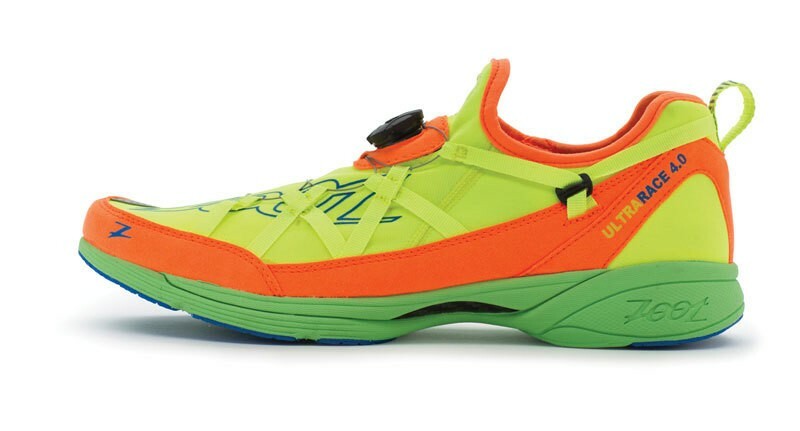 Lighter, faster, cooler, the Ultra Race 4.0 in flat-design competition is designed for triathletes looking for a lightweight shoe with a tailored fit. Zoot has developed in collaboration with the perfect partner BOA lacing system with 360-degree fit, which provides in exchange for speed zone advantages. This unique system and the TekSheen's engineered uppers of the shoe owes the most dynamic fit around the running world. BOA closure system for ultra-fast switching and optimum fit. Lighter, stronger and faster. For effortless forefoot propulsion without fatigue. UltraFit upper with a unique design TekSheen's engineered use compression to improve performance and reduce weight.